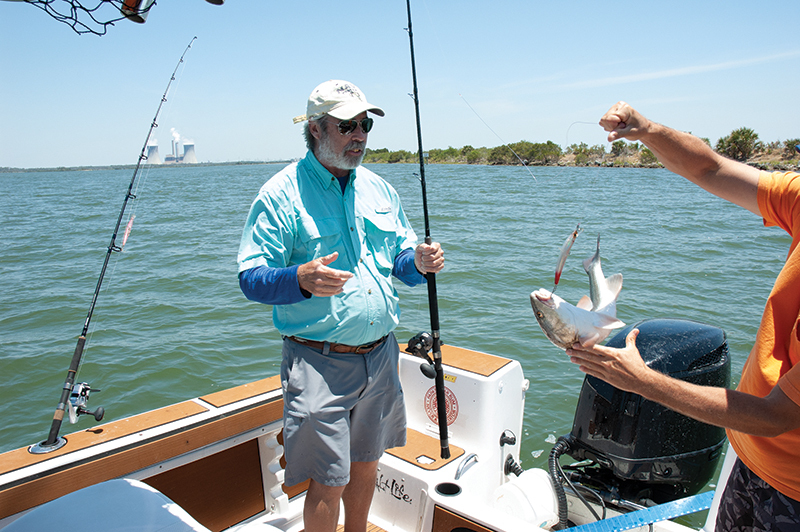 Florida's Nature Coast is a great place to create fishing memories...or relive some old ones. When an angler touts a fishing hole as a “magic spot,” as I have just done, it better produce results, lest said angler looks like a hyperbloviator. But the odds are stacked against its success given the paucity of quality fish we have caught so far in similar spots. One minor detail I’ve omitted is the last time I really fished this honey hole was about 35 years ago, save for a half-hour session 10 years ago just as daylight was fading. We did hook two redfish on our first cast back then, so I’m sayin’ there’s a chance. Doug Olander, the editor of Sport Fishing and a fellow writer who has fished pretty much every great spot on the planet, doesn’t say anything regarding my claim, but his arched eyebrow suggests skepticism. So it is particularly satisfying when his first cast produces a fat keeper-sized spotted seatrout, which we release. But that is just the start of the fun on this section of the Homosassa River, where in just a few minutes we catch something I have failed to hook in my more than 100 times fishing here. The fact one of us ends up in the water during the battle only makes it more memorable. The headquarters for our fishin’ mission over the course of three days is Plantation on Crystal River, known locally as The Plantation. 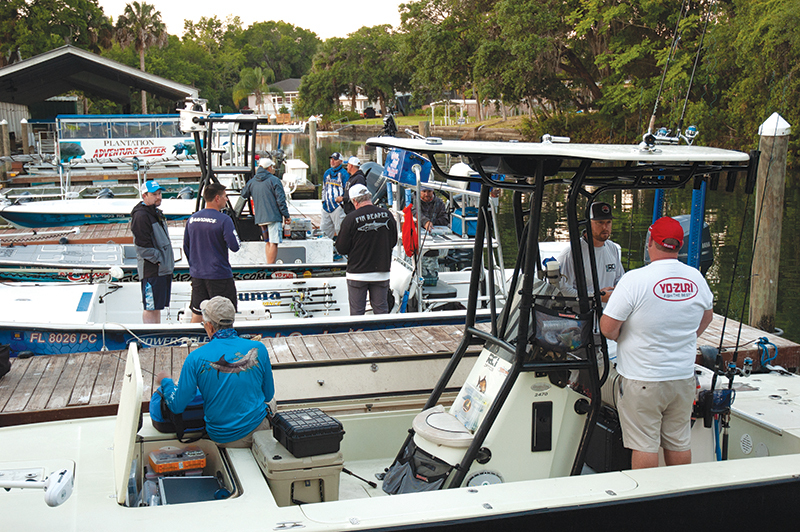 The action takes place in and on Crystal River, which is the name of both the town and the body of water, during an event called Cast and Blast. The Cast part is obvious, since about 25 angler journalists have congregated; the Blast part of the agenda is a feral hog hunt at Ross Hammock Ranch. 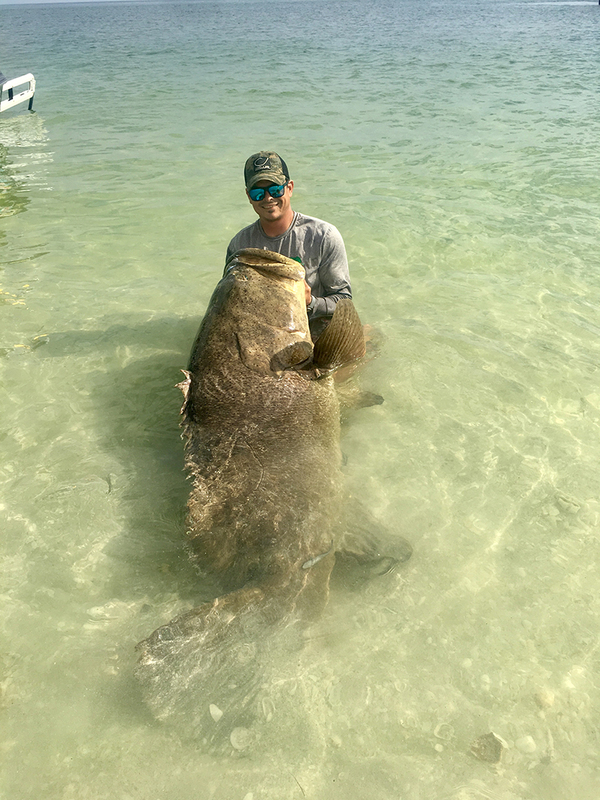 I skip that, preferring to acquire my pork in the time-honored tradition known as shopping at Publix, but Paul Michele of Navionics, one of the event’s hosts, manages to bring down a massive 600-pounder dubbed Hogzilla. True to its proper name, the 232-acre Plantation on Crystal River, built in 1962, resembles an Antebellum mansion surrounded by palm trees and live oaks that have beards of Spanish moss. Fact of the day: Spanish moss is not really a moss but rather a non-parasitic bromeliad that’s a close relative of the pineapple. Florida’s perimeter is divided into 10 descriptively named coasts. For example, the First Coast, which surrounds Jacksonville (where I live), is so named because it was the first to be “settled” back in the 1500s (though the natives had been there for thousands of years). The haughtiest name is the Culture Coast, from Sarasota to Port Charlotte, which is largely populated by citizens who wear black socks and sandals but also features many museums and theaters, so its moniker has some basis in fact. The region we are fishing is called the Nature Coast, and it’s no hyperbolic title. Cruising just off this section of Florida’s northwest coastline, I’m always shocked by what I don’t see: signs of human habitation (if I ignore the twin towers of the Crystal River Nuclear Plant). Every other stretch of the Sunshine State’s coast is blighted by condos, hotels and waterfront houses, but on this eight-county stretch, greenery dominates, perhaps due to the dearth of natural beaches here. Going north for more than 100 miles along the coast are dots on the map labeled Homosassa, Crystal River, Yankeetown, Cedar Key, Suwannee, Shired Island, Horseshoe Beach and Steinhatchee, which, combined, have a population of 8,448. But best of all, this unspoiled coast is home to some outstanding fishing. In the pre-dawn gloom, we gather at the docks and start rigging for action. Our gear includes a wide range of new products from Okuma, Savage Gear, Mustad, Yo-Zuri and Cuda. What’s interesting is most of the guides running the boats aren’t local and are relying on some quickly gathered intel and an innate knowledge of the kinds of places fish like to congregate. Having lived in Ocala, which is 40 miles inland, back in the 1970s and ’80s, I fished here often because it was the nearest saltwater port, but I have only been back one time since I moved away. Though we are armed with several boxes of new fishing lures, it’s difficult to know which one to string on, so we hedge and spray some buckshot with different styles of fish enticements until we determine what’s the hot lure du jour. One thing we have going for us is this is a great area for tourist anglers. Many species populate the rivers, coastline and offshore habitats in great numbers and face less fishing pressure than in most other places in Florida. Probably the best bet for someone with modest fishing skills who’s new to the area is to cruise the coastline while avoiding the numerous shoals that feed on the lower units and props of the unwary. 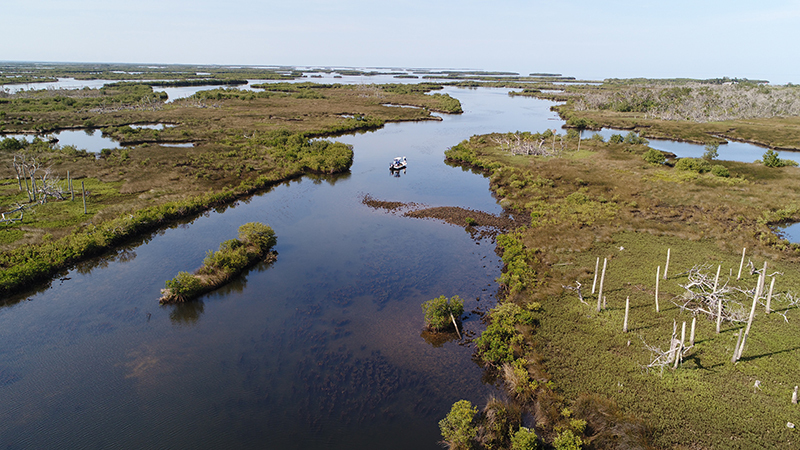 Here, anglers will find some of the largest, most lush turtle-grass beds in all of Florida, in three to 10 feet of usually vodka-clear water, which spotted seatrout love to inhabit. One tried-and-true technique to catch seatrout is to drift and toss slow-sinking or topwater lures, or lob shrimp suspended under popping corks, until one bites. Then drop a float with a weighted line to mark the spot and make several target-rich passes. The shrimp/cork technique is especially kid friendly and is more relaxing for all humans involved. 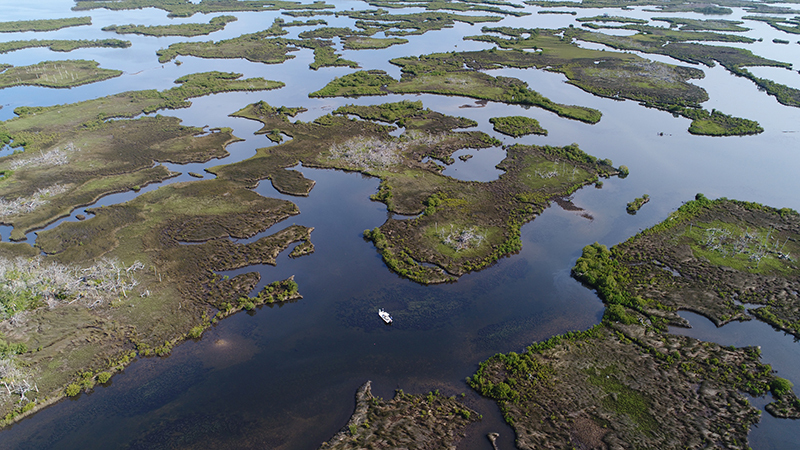 The area between the mouth of the Chassahowitzka River and Steinhatchee is famous for the recreational harvest of bay scallops: a bivalvian version of an Easter egg hunt. The 2018 open season runs to Sept. 24 in the Crystal River area and to Sept. 10 from the Suwannee River to the Fenholloway River. Harvesting scallops is ideal for kids and adults of even modest snorkeling ability, because these tasty critters with brilliant blue eyes frequent grassy water between three and six feet deep. How do you find them? Easy, just look for any gathering of 20 or more boats and join the crowd. This area is also considered a world-class destination for giant tarpon during a narrow window in May and June when they gather in what’s believed to be a pre-spawn ritual. For decades, many of the world’s greatest fly anglers came here seeking to be the first to catch a 200-plus-pound “silver king” on fly tackle, which they considered doable thanks to the fish being offshore in shallow water that contained few obstructions that could cut light tippets. And they were right; in 2001 James Holland, a 24-year-old law student from Washington, caught a fish that weighed 202.5 pounds. We narrowly miss the tarpon run but still find plenty of action. Shoving off the dock with Capt. 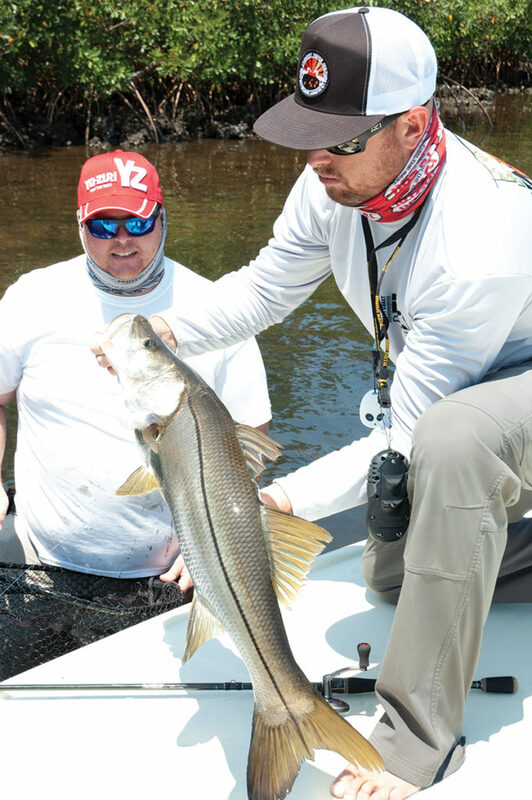 Jimmy Nelson and Luiza Barros, who have turned their passion for fishing into a social media empire, we slowly cruise downriver in the manatee zones, which aren’t just an idle threat (pardon the pun) since many of the sea cows make their home here. During the winter, approximately 400 manatees congregate in the 72-degree waters of Three Sisters Springs and Homosassa Springs, where they’re forced to tolerate curious be-snorkeled tourists. After slipping the bonds of the idle zone, Nelson puts his Pro-Line 23 Sport powered by a Suzuki 175 on plane and in 30 minutes we reach the Gulf of Mexico, which is doing its impression of Walden Pond. We are targeting cobia, which abound here from April until June and can either be the easiest fish to catch or maddeningly closelipped. I’ve had curious fish circle my boat for a pulse-pounding hour while I threw the tackle box at them, including live bait for no apparent reason. Who says fish don’t have a sense of humor? Aided by my Maui Jim polarized sunglasses, I spot a large cobia, but it’s spooked and gives our baits only a cursory glance before it departs. Soon we see a pair of smaller specimens and get a double hookup that leads to a drag-screeching, line-crossing battle. Cobia are fine eating, but both are less than an inch short of the 33-inch minimum — another example of fish humor? — so we shoot some photos and release them unharmed. While Nelson is a local, licensed captain and host of the TV fishing show “Livin’ the Dream,” Barros — a native Brazilian who was featured in Boating World’s November 2017 Fishing column and is the host of FishingWithLuiza.com, a website that features many glam bikini photos of her holding a wide array of fish — is also a knowledgeable angler and suggests we head inland to a spot near the nuke plant. The reactor was built in 1976 and operated safely for 33 years until it was shut down in 2009 for routine maintenance and refueling. It was scheduled to reopen in 2011, but flaws discovered in the concrete containment building wall made the closure permanent. We troll Yo-Zuri Crystal Minnow diving plugs that have a nice wiggle along the shoreline of the discharge channel. 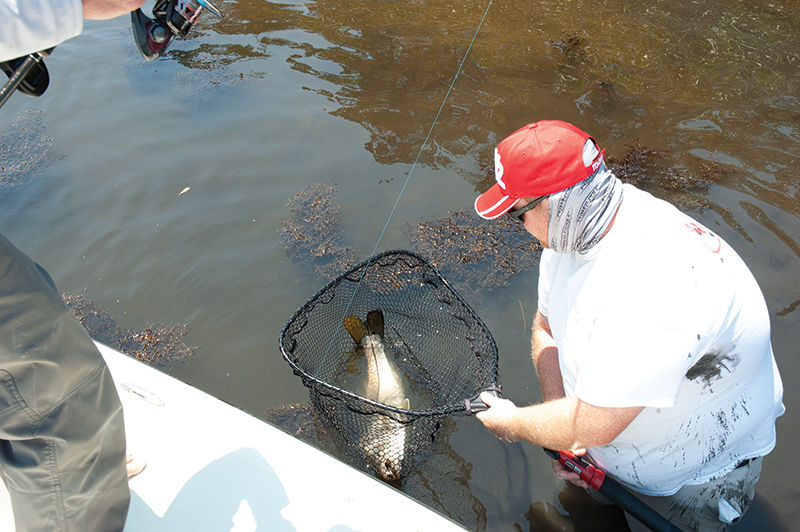 Randy Vance, editor-at-large with Boating, catches a chunky trout and I score a redfish that’s right in the middle of the 18- to 27-inch slot for keepers. Unlike on “The Simpsons,” these fish don’t have three eyes, but I magnanimously give mine to Vance, just because I’m that kind of guy. Snook are smart. They know just where to go to cause an angler maximum angst. This rampaging fish manages to get the line hopelessly tangled in a huge mat of weeds, which causes me to mimic Macaulay Culkin’s iconic pose in “Home Alone.” Nooooo! Without prompting, Yo-Zuri’s Ray Gardner kicks off his shoes, hands over his cellphone and plunges into the water. Slowly slogging through the mud and weeds, he works his way to the fish and painstakingly clears the fouled line. By now we’ve maneuvered the boat next to him and hand him the net, which he dips to snare the prized catch. During our paparazzi-like photo shoot, I learn Olander talks to his selfie-stick-mounted GoPro camera, instructing it to shoot while I click away with my dumb ol’ Nikon. To my surprise, we’re not done yet and Ferrell sticks another snook, nearly as big as the first. The final day we’re going big or going home with Capt. James Marko, who specializes in catching goliath grouper, formerly known as jewfish. These brutes can reach 1,000 pounds and are one of the most aggressive species that swims. I would rather dive with sharks than goliaths, who will get in your face while no doubt pondering if you’re slurpable. Marko’s usual fishing locale is around Boca Grande, but he’s heard of some deep holes in the Gulf that supposedly hold these highly protected fish, so he puts his Suzuki-powered Epic on plane and we’re off. We locate the drop-offs with help from Marko’s 12-inch Raymarine Axiom Pro display, which is running Navionics charts, but a few passes over this small, deep area surrounded by shallow water reveal no one is home. We’d see them if they were around, because they’re the size of refrigerators. Tarpon are the next biggest fish we’ve seen in the area, and they frequent waters not too far from our home base, so we head inland. We get one jump from an estimated 70-pounder, though we only manage to bring aboard seatrout and an enormous gafftopsail catfish, but now it’s perilously close to our cocktail hour, so we head in. We later discover the boats that went 50 miles offshore scored big on gag grouper, red snapper, kingfish and tripletail. Inshore has been a blast, too, and just knowing my old fishing hole is still magic after more than 35 years makes me want to come back again.